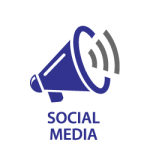 The MarketBlazer Social Engagement Program includes strategic marketing tactics designed to increase your business presence on social media, engage your ideal client and build an audience. We offer three levels of participation. 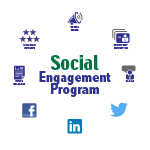 BeSocial is our entry level option of the Social Engagement Program. To view our mid level and top level offerings, please review the BeEngaging and BeCompelling options. If needed, we optimize your Facebook and Twitter accounts. For the BeDominant and BeSuperior packages, we signiﬁcantly grow your Twitter followers with the Twitter growth program.